The much awaited MIUI 8 Global Beta ROM was released around a week back for Xiaomi devices such as Mi 3, Mi 4, Redmi Note 3 (Both Qualcomm Snapdragon & MediaTek variant), Mi Max and several other Mi devices. 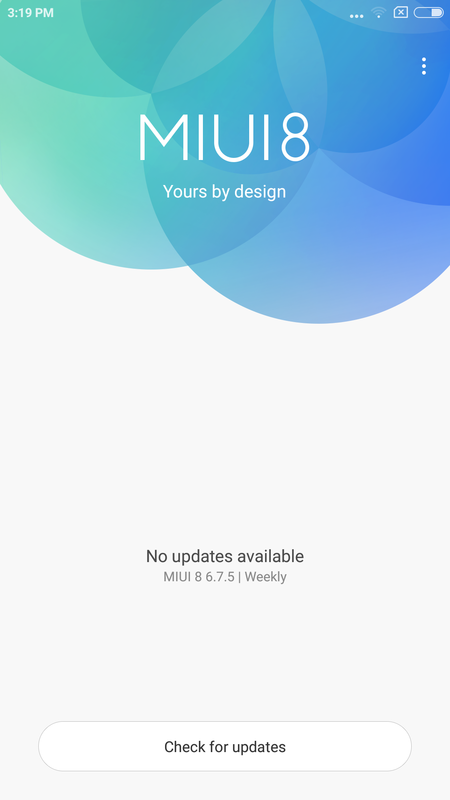 The MIUI 8 Beta aka Developer ROM with build version 6.7.5, based on Android 5.1.1 Lollipop is available for download from MIUI downloads portal. Those interested can try out the latest OS by installing the ROM manually, while those looking for a completely stable build will have to wait until August 16 for the release of global Stable ROM. 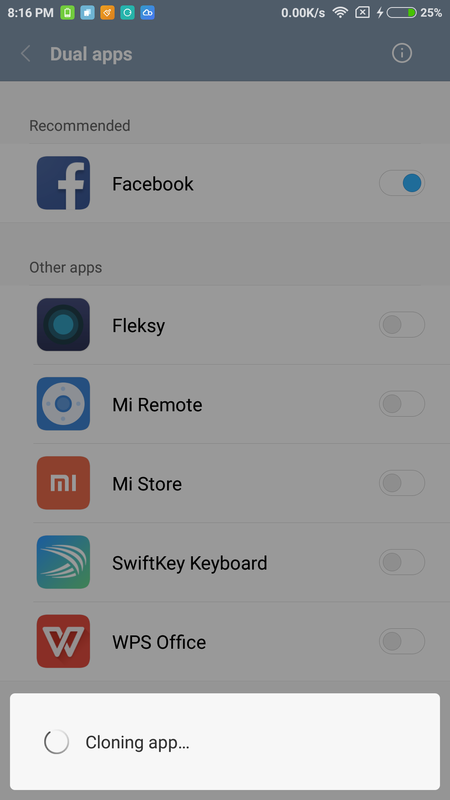 In this guide, we will be installing the MIUI 8 Beta ROM on Indian version of Xiaomi Redmi Note 3 powered by Snapdragon 650 processor. The process should remain same for other supported Mi devices except for the ROM file. 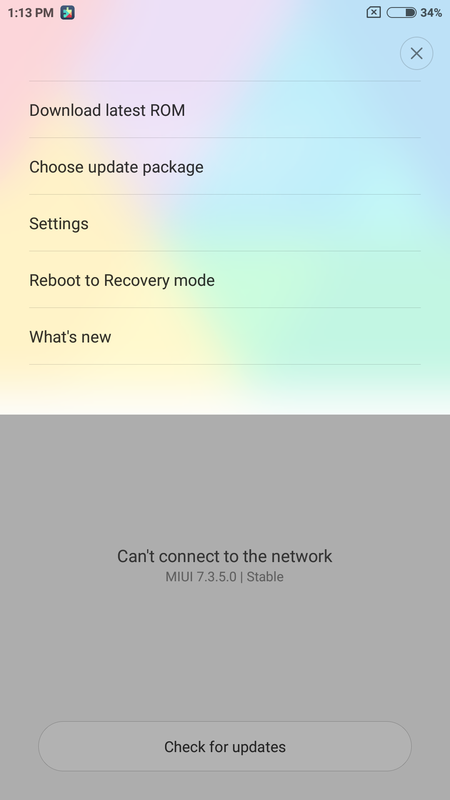 In case you’re not satisfied, you can always switch back to the stable MIUI 7 on your device. NOTE: Installing the Developer ROM won’t void the device warranty. Here we’ve updated Indian Redmi Note 3 from Stable MIUI v7 to official MIUI v6.7.5 (MIUI 8) Developer ROM. In this process, the internal storage data which includes your photos, documents, media, etc. 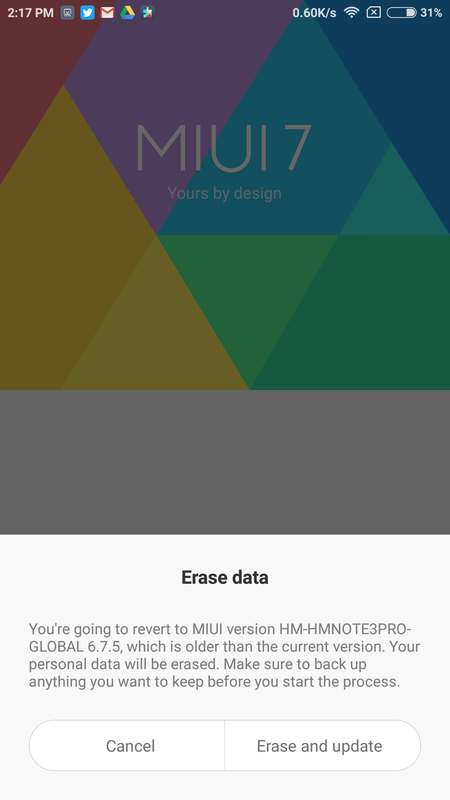 WON’T be wiped but all the user installed apps, call logs, messages, contacts, and settings WILL BE ERASED. So before proceeding, it’s highly recommended to backup your important data. 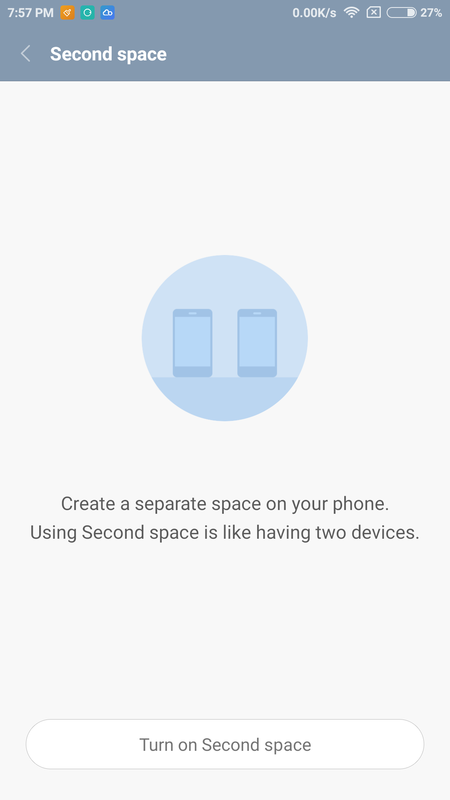 To easily backup Redmi Note 3 system settings, contacts, messages, apps (along with their data), just go to Settings > Additional settings > Backup & reset > Local backups > Back up. Make sure to copy the backup file from phone to your computer just for extra caution. 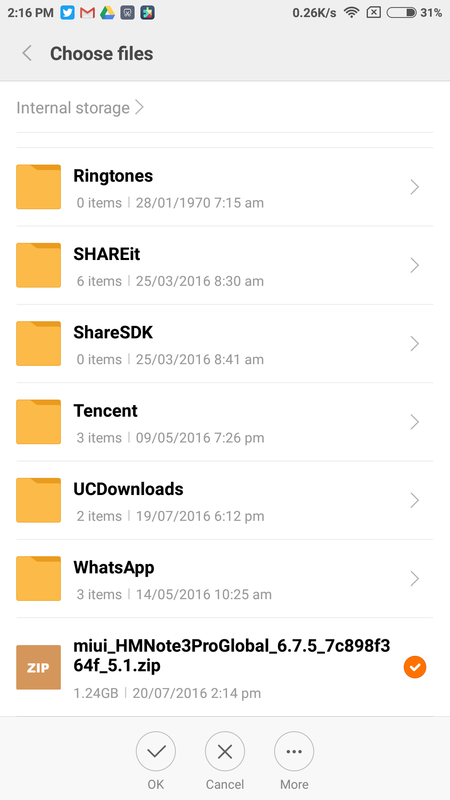 The backup file is stored in MIUI > Backup > AllBackup folder on phone storage. Installing Developer ROM is really easy as you neither need to root your phone/ unlock bootloader nor require a computer to do the desired task. As it’s a Global ROM, therefore Play Store and Google Play services are included in it by default. 2. 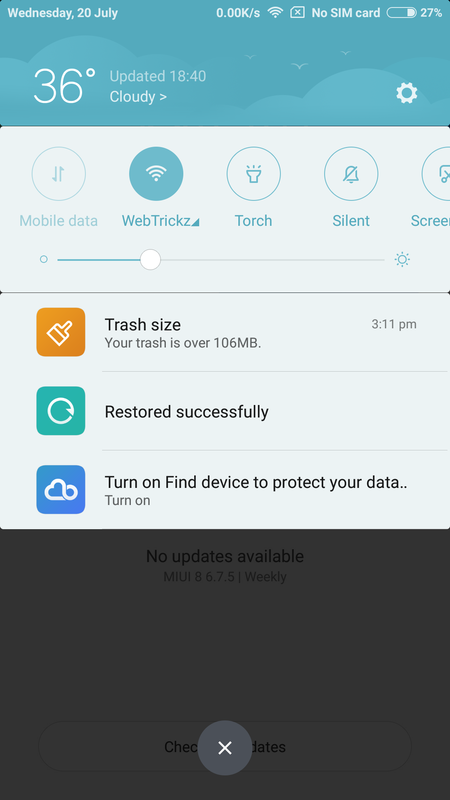 Place the downloaded ROM file in Download folder on internal storage. 3. Open Updater app, press the Menu button. Then tap on ‘Choose update package’ option and choose the downloaded ROM (miui_HMNote3ProGlobal_6.7.5_7c898f364f_5.1.zip). Click Ok and then select ‘Erase and update’ (ignore the warning which says you’ll be reverted to older version). Now wait for the update to complete and the device will reboot automatically. Voila! After rebooting your Redmi Note 3 should load up with MIUI 8. Setup the device and Restore the backup (that you might have created) from Backup & reset option in Settings. The beta ROM installed without any issues and seems to work fine as we didn’t encountered any app crashes or force closes yet. Dude, i tried for like 1000 times, but still it didn\’t work. Is it beause i am on the latest version of Global stable? If so then does it mean that i have to roll back to the older version?